On 13 and 14 of March, a committee chaired by Dr Onekeo Nouannavong, Director General of the Research Institute for Educational Sciences (RIES), reviewed and approved in principle the materials that will be used to train the master trainers, provincial trainers, Grade 1 teachers, primary principals and pedagogical advisors on the new Grade 1 curriculum. The meeting was attended by Directors and Deputy Directors from RIES, the Department of Teacher Education, the Department of General Education, the Department of Planning and representatives from the Australian Embassy and the BEQUAL Team. when necessary, will conduct a series of 6-day face-to-face training workshops for more than 16,000 Grade 1 teachers, primary school principals and pedagogical advisors in the country’s 148 districts. 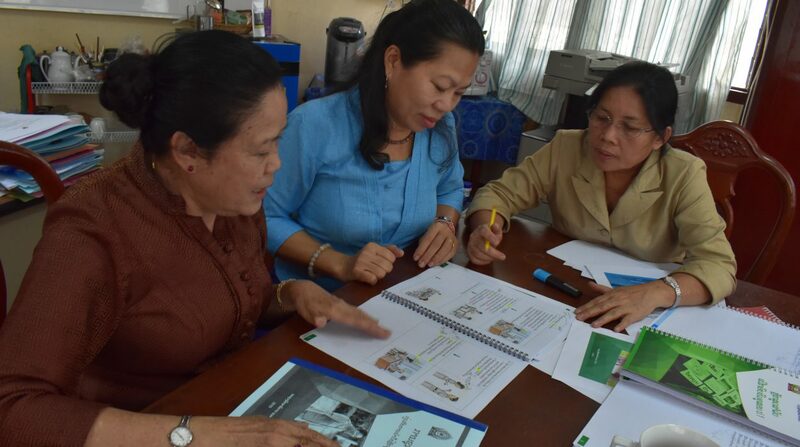 In addition to the face-to-face trainings, Grade 1 teachers will receive on-going support during the school year from principals, pedagogical advisers and provincial trainers on pedagogy, delivery of the curriculum and continuing professional development. equipping them with different active learning strategies and techniques to use in the classroom. 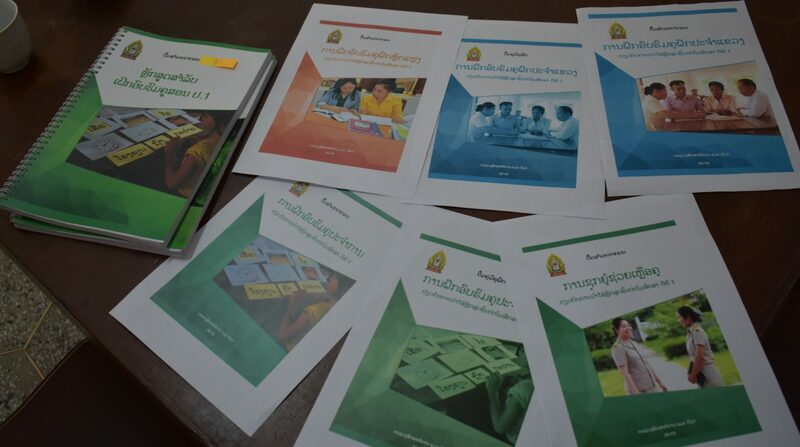 The participant book also includes a ‘self-study’ section which has different exercises for teachers to work through throughout the school year in order to extend their learning from the face-to-face training. A separate set of material has also been designed to provide guidance and ideas to principals and pedagogical advisers on how to provide on-going support to teachers during the school-year. 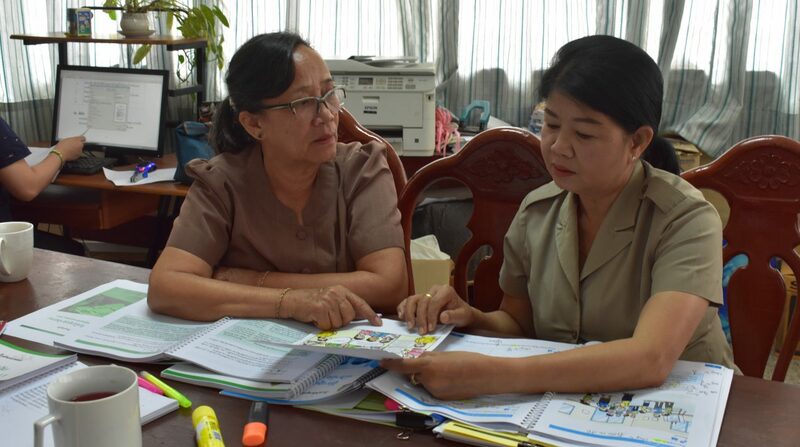 These training and self-study materials along with peer learning activities driven by pedagogical advisers and principals provide teachers with a holistic and robust support system to help them implement the new curriculum in the upcoming school year. All the materials as well as the results of the trial were presented and approved with minor editing during the meeting. The training and self-learning materials represent the bridge between teachers and the new curriculum and are key to the success of the uptake and implementation of active learning pedagogies.